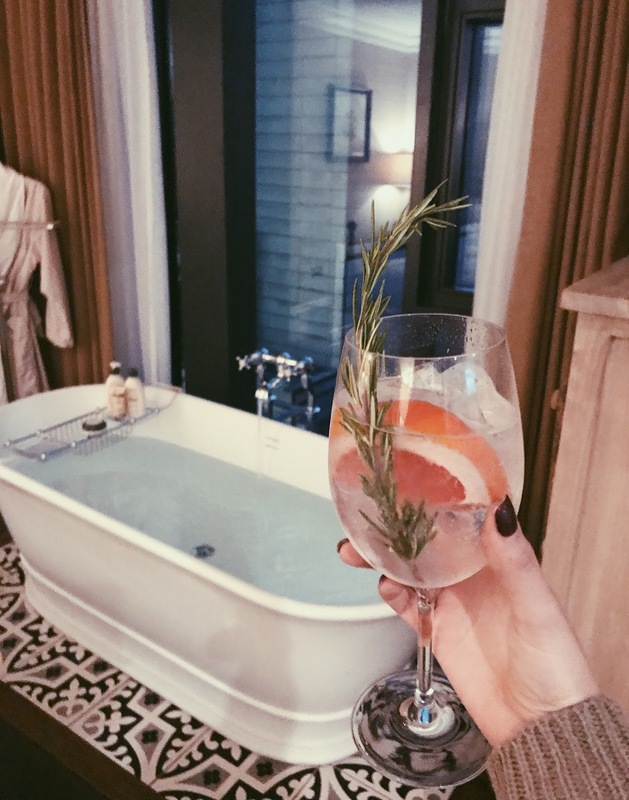 A couple of weekends ago, my lovely fiancé and I had a cute date night in Manchester followed by a stay at one of my all time favourite hotels - King Street Townhouse. I first stayed at this hotel last year and completely fell in love with it so when the opportunity arose to stay there again, I couldn't have been more excited. 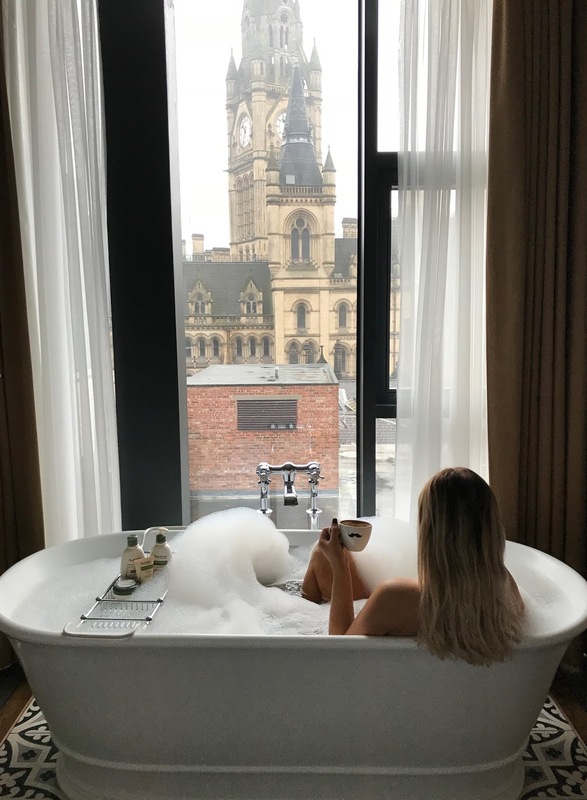 Despite living only 30 minutes away from Manchester city centre and spending a good majority of our time there, it's one of those cities that you can always find an excuse to book a hotel for and have a full weekend stay. There's always new restaurants and bars opening and something new to see or do. Not to mention the Christmas markets at this time of year which are literally round the corner from this hotel. Yay! We were booked into one of the suites which was such a treat as last time I visited, I stayed in one of the standard double rooms. Don't get me wrong, the standard rooms are amazing too but to have a whole suite was just total luxury and in my opinion, if you're going to stay here, worth the extra cost. As you can see from the photos, the suite has an open plan style complete with its own living area and bedroom as well as a spacious bathroom fully equipped with wet room style shower and double sinks. My first thought when entering the room was 'oh my gosh, that view' as this particular room we stayed in has the most spectacular views across Manchester. We arrived for check in at 4 so the sun was just setting as the god into the room and pink skies and Manchester sky line was such a stunning view. I must have sat on the bed for a good hour just watching the sun go down which was so lovely and peaceful. Another initial thought was 'bath tub goals!' - I mean, look at it! 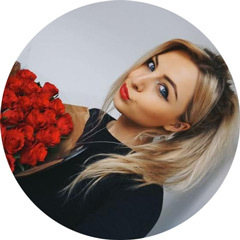 f you follow me on Instagram (@kayleighjcouture - if you don't, come say hey!) I'm sure you'll know that I appreciate a good bath (well, who doesn't?!) so to see this insane freestanding tub sat at the end of our bed with views right across Manchester was amazing! The first thing I did after taking these photos was run the bath so I could have a relaxing pamper before dinner. I also ordered a G&T from room service which came so well presented and very quickly after ordering by a lovely suited and booted gentleman. Now that's what I call good service! They'd also left us some gingerbread men, macaroons and a lovely welcome note - too cute! As well as the amazing bath, the decor in the rest of the room is just as beautiful. You can tell that everything has been really well thought out and it has a lovely cosy feel to it. I particularly loved the tiles around the bath, the cool lampshade in the living area and the little mirrors above the bed. Interior done right. Talking of the bed - I just have to mention how comfortable it is because oh my goodness, it's one of those beds that you just sink right into. Seriously, I put my head down on the pillow and practically disappeared it was so squishy. I basically need to find out which pillows they have and buy them for every bedroom in my house as the comfort was seriously real! After a few more G&T room service deliveries and a soak in the bath, we got ready for dinner and headed out to a new Indian place that's recently opened. The meal was okay but we weren't overly impressed so I won't go into too much detail about that, haha. After dinner we headed for some drinks and I posed in front of every Christmas tree I came across (typical blogger hehe) before heading back to King Street Townhouse for some Netflix in bed (is this a sign we're getting old?!) and the best nights sleep in that divine bed. The following morning we got up early and headed to the hotels rooftop infinity pool / hot tub. This is another of the hotels biggest selling points for me as it's such a cool feature and not something you often find in UK hotels. When you think of an infinity pool you often think of exotic locations so for a Manchester based hotel to bring a bit of that holiday excitement to the UK is fabulous. Unfortunately I couldn't get a good image of the pool to share as it was a super misty morning but if you want to have a look, a quick google will bring up loads of images. However, we did have a chill on their lounge beds in the little relaxation area just next to the pool as this also has insane views of Manchester - a lovely way to spend a Saturday morning. After our trip to the pool, it was time to order breakfast. Breakfast is one of my favourite parts of staying at a hotel as it's such a treat to get breakfast delivered to bed and I always end up ordering a couple of different things so I can have a real feast. I couldn't decide between eggs & avo or pancakes as they're both my ultimate fave breakfasts so I decided to order both alongside orange juice and a latte - perfect. They didn't disappoint either and were scoffed within 10 minutes of them being delivered to the room. Haha! We had some chill time after breakfast so I had another bath (got to make the most of that tub!) and then we spent some time getting ready before check out at 12pm. After we checked out and left our bags with reception, we headed into the tavern bar and restaurant for a festive afternoon tea. I personally love afternoon teas as I'm the kind of person that likes to have lots of different things to try and pick at. A buffet is my dream so an afternoon tea isn't too far off, haha! 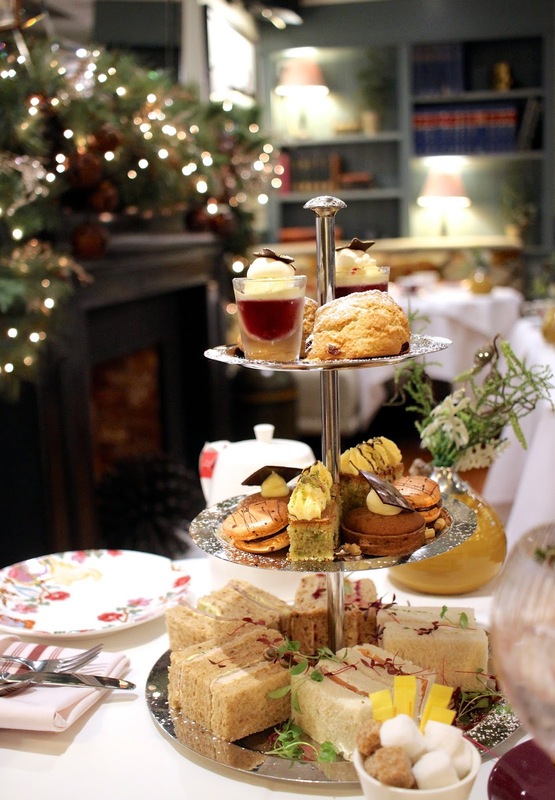 The festive afternoon tea came with all the usual sandwiches, cakes and scones with small Christmassy twists such as Turkey & Stuffing as one of the sandwich fillers - delicious! They offer afternoon tea in the Tavern throughout the whole year and is something you can do without being a guest at the hotel so this is something I'd highly recommend checking out next time you're in Manchester. It's super cosy and cute in there and would make the perfect pit stop mid shopping spree! Overall we had the most lovely stay at King Street Townhouse and I'd love to go back again in the future. It's just an all round great hotel with everything you could need for a comfortable and fun stay. You can check out their website here for more info on prices and how to book. I hope you enjoyed this post guys. Do let me know if you'd like more hotel or spa break reviews in the future as it's something I really enjoy doing! I have one coming up very soon about my trip to a fabulous spa in The Lake District so keep your eyes peeled for that. This stay was complimentary however all opinions are my own.